Baxalta's aspirations in oncology have received a boost after the European Commission approved Oncaspar, its treatment for a rare form of leukaemia. It's the first EU-wide approval for the product, which Baxalta acquired last year from Sigma-Tau for $900m, and adds to existing licences in countries such as Russia, the US and Germany, having been launched in the latter in 1994. David Meek, Baxalta's executive vice president and president of oncology, said: “For more than two decades, Oncaspar has fulfilled a clear need for an effective and well-tolerated treatment for ALL patients worldwide. 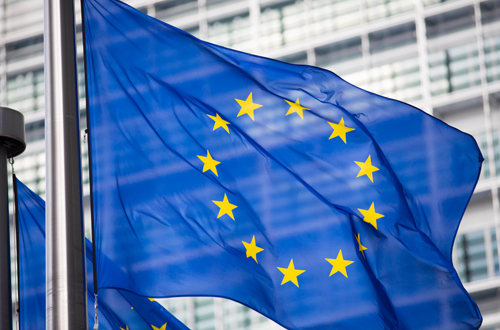 The European Commission granted a licence for the drug's use as a component of antineoplastic combination therapy in acute lymphoblastic leukaemia (ALL) in paediatric patients from birth to 18 years, and adult patients. A rare blood cancer that affects the rapid production of white blood cells, around 60% of the 4,000 ALL cases seen in Europe each year are found in children. Baxalta's deal with Sigma-Tau for Oncaspar, which currently brings in annual sales of around $100m, also included a new, freeze-dried formulation of Oncaspar with a longer shelf life than its parent, and a longer-acting follow-up called calaspargase pegol (EZN-2285) that could offer less frequent dosing in ALL. Baxalta also plans to investigate Oncaspar in additional ALL indications as well as in acute myeloid leukemia (AML). It could also eventually see further competition from Pfizer's collaboration with Servier and Cellectis, should UCART19 - which was successfully used to treat an 11-month-old British girl with incurable, refractory and aggressive ALL last year - be granted marketing approval. The companies will be competing for a share of an AML market that is expected to reach $879m by 2020 thanks to rising disease prevalence and newer entrants to a market that's currently dominated by generics.